You can find many engine misfire causes just from examining your spark plugs. 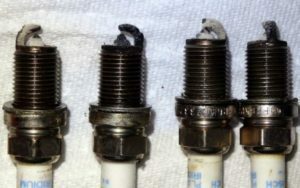 A visual inspection of the Spark Plugs will display symptoms and conditions of engine misfire causes. 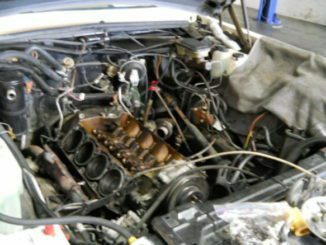 If you have an engine misfire and have isolated it to one cylinder, the cause will be obvious when you remove the spark plug. So, The first thing you need to do is figure out which of the cylinders is causing the engine misfire. 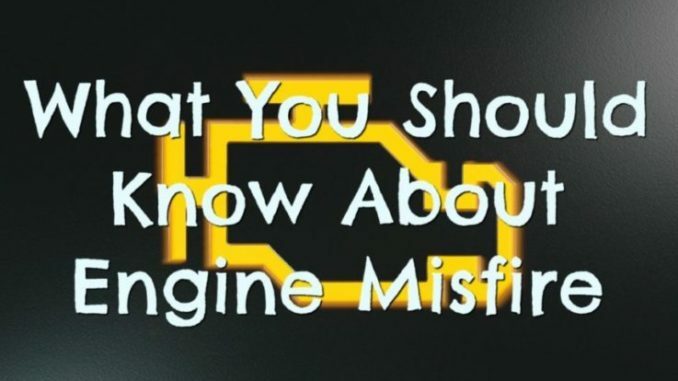 An ignition system problem is one of the most common reasons for an engine to misfire. As a result, Spark plugs, ignition cables, distributor cap and rotor, and ignition coil wear over time. Hence their ability to transfer the needed spark to ignite the air/fuel mixture inside the combustion chambers becomes compromised. In the early stages, the spark will only be weaker and the actual misfire will be subtle. If the plug’s insulator is cracked or broken, you’ve found the problem. If the plug appears to be OK but is wet, inspect the plug wire and boots for damage. Measure the plug wire’s resistance, end to end, with an ohmmeter. As a rule, resistance should not exceed 8,000 ohms per foot. Replace the wire if resistance exceeds specifications. If the plug is fouled, you’ve found the source of the misfire. You still have to determine what caused the plug to foul. Oily deposits on the plug would tell you oil is being sucked into the combustion chamber. It may be going past worn valve guides or seals, or worn or broken piston rings. There’s no easy fix for this kind of problem short of a valve job or overhaul. Installing a spark plug with a slightly hotter heat range may help resist fouling. 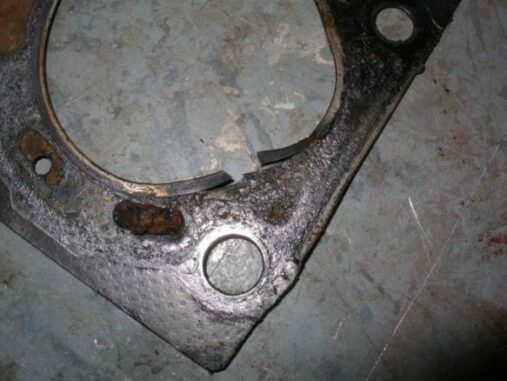 The most likely cause is worn valve guide seals and/or guides. Consequently, worn rings and cylinders can also allow oil to enter the combustion chamber. Replacing the spark plug will temporarily cure your misfire problem, but, until the oil consumption problem is fixed, the engine will continue to foul plugs. A leakdown or compression test will help you determine if the oil is getting past the valve guides or rings. 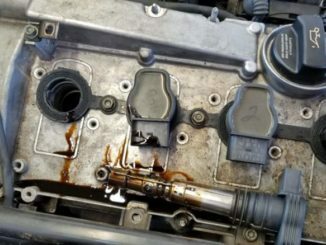 If the cylinder shows little leakdown or holds good compression when a little oil is squirted into the cylinder (wet compression test), it would tell you that the engine needs new valve guide seals and/or guide work. Most late model engines have positive valve guide seals. Often, the guides are fine, but the seals are worn or cracked. 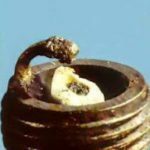 So, A spark plug that shows heavy whitish to brown deposits may indicate a coolant leak. This type of problem will only get worse and lead to even greater problems if the leak isn’t fixed. Coolant makes a lousy lubricant and can cause ring, cylinder and bearing damage if it gets into a cylinder or the crankcase. Loss of coolant can also lead to overheating, which may result in cracking or warping of aluminum cylinder heads. If you suspect this kind of problem, pressure test the cooling system to check for internal coolant leakage. Spark plugs that show pre ignition or detonation damage may indicate a need to check timing, the operation of the cooling system and conditions that cause a lean air/fuel mixture. You might also want to switch to a colder heat range plug. 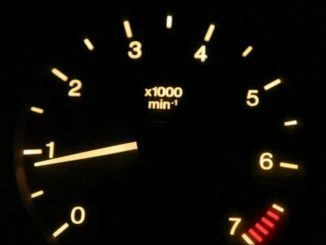 Also, If the ignition components and compression in a misfiring cylinder are fine, that leaves a fuel-related problem as the only other possibility. You can start by checking for voltage at the injector. A good injector should also buzz while the engine is running. No buzzing would tell you the injector is dead, while a no-voltage reading would tell you it isn’t the injector’s fault but a wiring or computer driver problem. If the injector is buzzing and spraying fuel but the cylinder isn’t getting enough fuel, the injector is dirty or clogged. On-car cleaning may help remove the varnish deposits that are restricting the injector and restricting fuel delivery. Chances are, if the injector is clogged enough to cause a steady misfire, it will have to be removed for off-car cleaning or be replaced. So, The best way to avoid an engine misfire condition is through following the scheduled maintenance in your manual. Keep your vehicle’s engine tuned according to factory specs.